I wish I heard those lines rapped in person, but getting Hamilton tickets is as impossible as getting appropriate ER admissions. 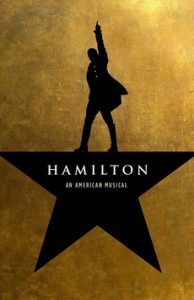 It’s hard to escape a story about our 10 dollar founding father these days; everyone knows it (though few have seen it), cite lines, rap patriotic tunes… Hamilton reinvigorated theater and energized many to reflect on the history of our country, diversity in the arts, and the importance of theater. Theater, one of the oldest arts, was developed as entertainment, but also as a laboratory for ideas, a search for discovery of what is like to be human. A place to try out new ideas while asking tough questions. Recently, I sat in the oldest indoor theater in the world, Teatro Olympico. Vicenza, Italy, once part of the Venetian Republic, was home to Andrea Palladio, the renaissance master. Palladio resurrected the classical architecture of Vitruvius. 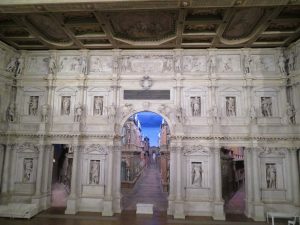 One of his masterpieces, completed after his death, is the Teatro Olympico. Finished in 1585, it maintains its original stage set, awaiting the cast of Sophocles’ Oedipus Rex to arrive as it did 431 years ago. Nearby Vicenza, in Bologna and Padua, I visited 2 other famous, historical theaters: theaters in anatomy. Medicine usurped stage connotations for centuries in our own search for the secrets of the human body. The anatomy theater unveiled the deepest mysteries of life, where physicians sought man’s soul via dissections. Bologna helped resurrect anatomy in the 13th century, with the work of Mondino. He likely performed the first public dissection during Carnival. His wooden statue peers over the 17th century anatomical theater of Bologna, not far from where an ancient anatomist would have sat reading from Mondino’s or Galen’s anatomy texts, while a dissector at the cadaver did the carving for the surrounding students and public. Bologna’s theater was rebuilt after WWII. Padua’s anatomical theater is older, with the original structure intact. The Padua theater dates to the William Harvey days. These two cities housed giants in medicine, the foundations of modern medicine built upon the corpses of criminals in these two Venetian cities. Morgagni was the first to describe disease as originating in organs, not the humors. Malphigi found the capillaries Harvey hypothesized must exist. Harvey upended Galen, by rerouting ideas of how blood circulated around the body. His work grew upon the discovery of the valves in veins by Fabrizio. Prior to these greats were Fallopio and Eustachian, who discovered their eponymous body parts, amongst many other firsts. These anatomy professor trails trace back to one of the greatest anatomists, Vesalius. Every cut unloaded answers and asked new questions, because for the first time Vesalius did the dissections himself. He no longer sat at the lectern, reading from the text, but became lecturer, dissector, and demonstrator. In addition to discovery, the dissections were the means of education as well, students looking forward to the events. In between semesters, a dissection would be planned in the winter months, during the Carnival spirit of food and drink, and promises of human as well as animal dissections. The winter was the only time to perform dissections, to keep the cadaver as cold as possible. During the Carnival season, public dissections were held, with town leaders in masks arriving, with hopes to witness, as the famous anatomist Fallopio notes, “the mysteries of God.” The characters in costume were in the seats, while the show was the anatomy table. Over the years, dissections became spectacles for the anatomist to show off their breadth and depth of knowledge. Famous paintings, such as Rembrandt’s The Anatomy Lesson of Nicolaes Tulp, place the physician at center stage. 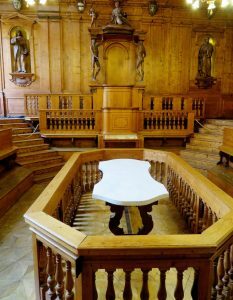 The anatomical theater became the model for the surgical amphitheaters that emerged in the 16th century and blossomed in the 18th and 19th centuries. The surgical theater also developed as a space to embark on new discoveries, a laboratory. Surgeons would try out new procedures and bring in the crowd to show off their latest discoveries. The surgeon as the performer. Once Halsted slowed down surgery to a Halstedian slow pace, and antisepsis arrived with cleanliness as well as quietness, the showcase of the surgeon became a place for healing. The patient was the center of care, not the surgeon. On our day to day work as internists, the modern example of theaters are perhaps morning report, or case conferences, absent the patient. Perhaps a bit of theater still occurs at the bedside. Sometimes the physician is at center stage, but hopefully the patient, with the health care team as the audience. We allow the action to occur, with a little stage direction and lighting to get the right answers from our open-ended questions. When done well, the patient is the performer and the teacher. In the ancient Sophocles play, Women of Trachis, the all-powerful Hercules is brought to his knees by a poisoned cloak, accidentally given to him by his wife. 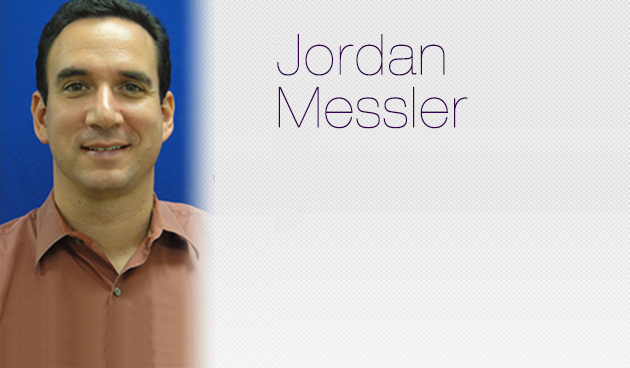 His suffering is immense, and he ultimately asks his son to end the pain by ending his life. Bryan Doerries translated ancient Greek plays and performs readings around the country. 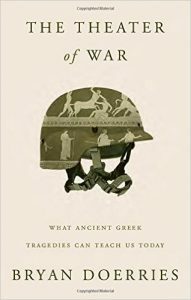 His book, The Theater of War, chronicles his efforts to stage performances for patients, healthcare workers, soldiers, generals, caregivers, and many others to encourage conversations, to discuss and to reflect. These words reverberating from thousands of years ago land on our ears and in our hearts to help us understand the timelessness of being human. These shared moments remind us of the magic of theater and help us discover ourselves. Doerries’ readings of Women of Trachis encourages discussions about death and dying visiting various medical institutions throughout his End of Life tour. We know Hamilton dies at the end, in a senseless duel with the vice president. A dissection of his body would find the bullet in his vertebrae after piercing through his liver. The dissection of his mind, his soul, occurs to this day, on stage, revealing answers as much about Hamilton, as about us.